Seminars on: Theatre & Concert Lighting Design; Special Lighting Effects; Lighting Equipment Operations conducted by Eric Cornwell, Lighting Designer for the Joffrey II Dance Company and Trinity Theatre, Manhattan, NY. 1998 & 2001 First Place U.S. National Harmonica Championship - Blues Division. 1999 First Place U.S. National Harmonica Championship - Open Division. 2004 & 2005 and Expertise Preserving and Advancing the Harmonica through Teaching. 2002 Received Tribute Award from the Kansas State Capital House of Representatives. Traditional Country Music Association, Inc. 2014 Received Certificate of Appreciation Award from the Rotary International Club. President of A Little Louder Productions, established in Wilton, CT from 1972 to 1990, offering professional services: stage managers, stage crews, security chiefs, security crews, roadies, sound and lighting technicians and body guards. Conducted harmonica classes for: Wilton Board of Education, Wilton, CT; Johnson County Parks & Recreational Dept., Overland Park, KS. 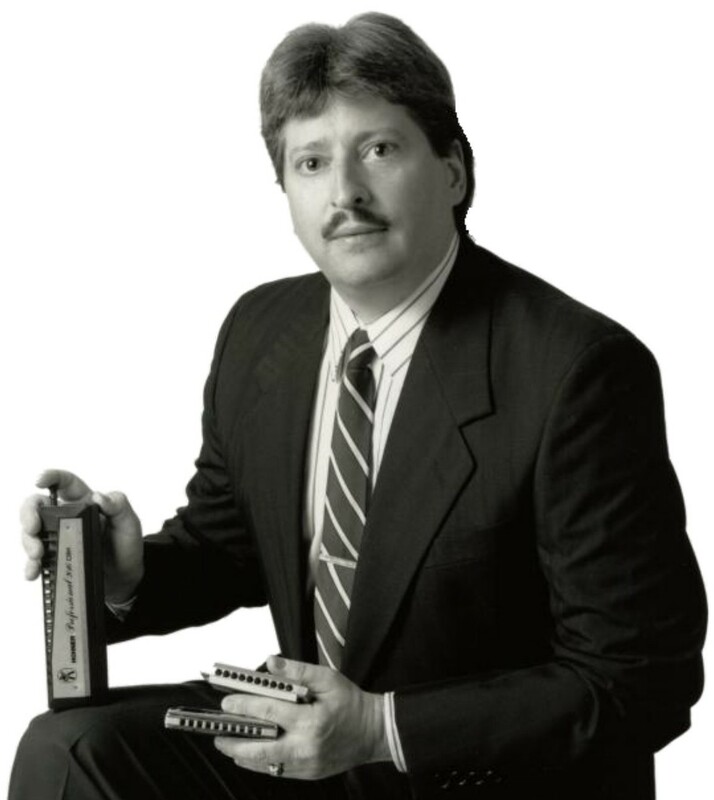 Established the Kansas City Metro Harmonica Society in 1990 with Phil Duncan, author of various harmonica educational publications for Mel Bay Publications, Inc.; Established Harmonica On Line in 1999. Studied chromatic harmonica instructions under the direction of China's classical harmonica virtuoso, Cham-Ber Huang. A member of: The Society for the Preservation & Advancement of the Harmonica, Inc. ( SPAH ); Kansas City Blues Society; Tri-State Bluegrass Association; Heart of America Bluegrass & Old Time Music (HABOT). Conducted harmonica seminars with: Lee Oskar; Harry Desko; Charlie McCoy; Kirk "Jelly Roll' Johnson; Little Hatch; Michael Peloquin; Cara Cooke; Tony Eyers; P.T. Gazell; Phil Duncan; Clay Kirkland; Lonnie Joe Howell. Contributing writer for: The American Harmonica News Magazine; Harmonica Happenings Magazine; Harmonica Educator Magazine. Harmonica Studio Musician for: television & movie soundtracks; commercials; musical artists. Harmonicist Concert Performer for: theater auditoriums; music festivals; schools; public libraries; churches. Harmonica Instructor & Respiratory Therapist for: adults; seminars; music stores; medical institutions. New Age Music Keyboard Synthesist Composer for: studio recording sessions; television & movie soundtracks; commercials; musical artists; magicians; dancers; and figure skaters.